William STORY (1614 – 1702) was Alex’s 9th Great Grandfather; one of 1,024 in this generation of the Miller line. Our William Story’s history is uncertain. There are two options. Option 1 is that he was an unknown William Story who married Sarah STARBUCK about 1646 when Sarah was only about sixteen years old. William must have died unmentioned before Oct 1649 when Sarah at the age of 19 married Joseph Austin, leaving Ann as an orphan unmentioned in the records of Sarah and Joseph. Option 2 is that he is the William Story who married Sarah Foster in 1640 and Ann Story’s birth records are missing from the Ipswich records that we know have some holes. Ipswich is the town of Ann’s birth. Ipswich is very close to Haverhill where Stephen Dow and Ann Story were married. Option 2 sounds more likely to me, let’s go with that. Norwich, England: An Index of Indentures of Norwich Apprentices Enrolled with the Norwich Assembly; Henry VII – George II, page 157: Story, William, son of Robert dec.; apprenticed to John Coats of Norwich, carpenter, 1634 for 7 years. He left Norwich and arrived in Boston 8 June 1637 from Yarmouth in one of two ships: either the Rose (William Andrews, Jr. master) or the John and Dorothy (William Andrews, master). In the combined passenger list, there is a Samuel Dix with wife, two daughters, and two servants. One of these is William Storey b. 1614. As Dix was a joiner, presumably Story was an apprentice in that trade. The Dix family has not been located. William married Sarah FOSTER on 1640 in Ipswich, Essex, Mass. William died 20 Jan 1702 in Chebacco Parish, Ipswich, Essex, Mass. Sarah Forster was born 15 Oct 1620 in Exeter, Dervonshire, England, England and was christened 15 Oct 1620 in Theydon Garnon, Essex, England. Her parents were Reginald FOSTER and Judith WIGNOL. 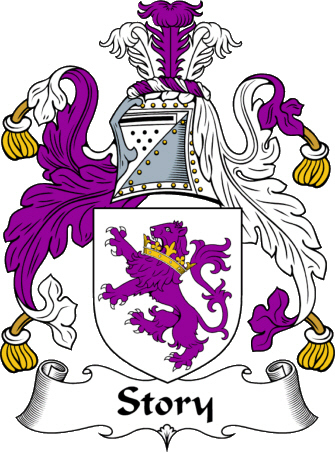 Sarah died in 1681 in Ipswich, Essex, Mass. Sarah Starbuck was born about 1630 in Dover, New Hampshire. Her parents were Edward STARBUCK and Catherine REYNOLDS. Sarah married Joseph Austin in 1649 in Nantucket MA. Sarah married a third time to Humphrey Varney on 2 Jan 1663/64 in Ipwich, Mass. Humphrey was the widower of Sarah’s sister. 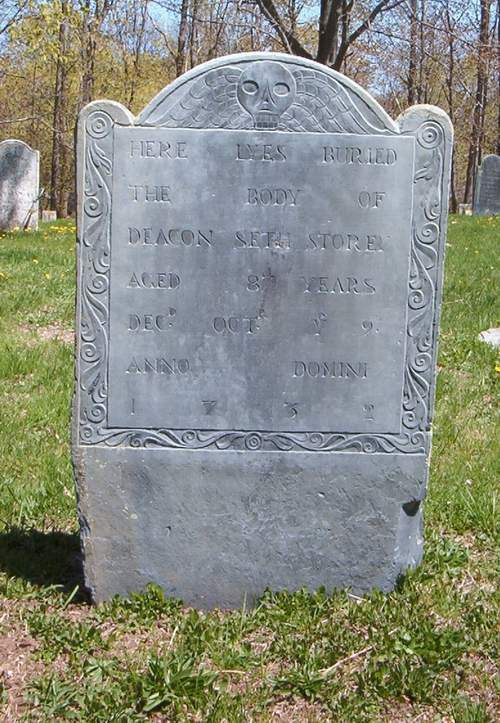 The Book of Dow speculates that Sarah married William Story late in life after Humphrey died, but Humphrey was born about 1642 Barbados and died after William 2 Jun 1714 Dover, NH. Sarah died on 6 Jun 1719 in Dover Strafford County, NH..
Joseph Austin is said to have come to Dover about 1647 from Hampton, NH, where there was a Joseph Austin in 1642. He was taxed in Dover in 1646. In 1649, he purchased of Richard Waldron one-fourth part of the “old mill” at Cocheco, Lower Falls for “accomodation” of which he received the wood of three acres. In 1658, he exchanged with Elder William Wentworth “Emery’s Farm” for other land. Joseph lived in Cocheco. He owned and operated a mill with his father-in-law, Edmund Starbuck and William Furber, buying/ his share from Richard Waldron. He was a constable in 1656-57. In 1658 he exchanged the “Emerson Farm” for other land. When he died, his will left a double portion to his son, Thomas, who remained in Dover. His wife and the other children returned to Nantucket to live with Grandfather Starbuck. His wife married Humphrey Varney. viii. John Varney b. 5 SEP 1664 Dover, NH. d. 14 AUG 1666 Dover, NH. ix. Peter Varney b. 29 MAR 1666 Dover, NH. xi. Abigail Varney b. 10 Jul 1669 Dover, NH. William Story was a carpenter of Ipswich and Dover, NH. The children of William Story are not all known because Ipswich has no records until 1648. So there might have been an Ann among them. William moved to Dover in 1648, but Dover records are as defective as Ipswich. He appears there is a deed as William Storer. According to The Book of Dow, he married second when both were too old for children, Sarah Starbuck. Incidently, it may be noted that Ann’s oldest daughter married a Dover man. William was a subscriber to Major Denison in 1648. He had a share and one half in Plum Island, 1664. He was a Surveyor of Highways, 1662. He possessed lands in Chebacco (Essex) Nov. 10 1652. On May 8,1649 he purchased from Henry Archer and his wife, a farm of ninety acres, beyond Chebacco Falls. In 1671 he had permission to have a Mill on the Chebacco River. William signed the petition in support of John Proctor oldest son of our ancestor John PROCTOR and his wife Elizabeth Proctor at the Salem Witch trials. William left a will recorded 10 Oct 1691 and proven 20 Jan 1703. However he had dispursed much of his property before that time….Administration was granted for William’s estate on 20 January 1702/3 to his oldest son, Seth. William Story was a subscriber to Major Denison 1648. Had a share and a half in Plum Island, 1664. In 1679 he was a voter in Town affairs, with the addition of “senior.” Mary Story, his daughter, joined the Church by taking the Covenant, April 12, 1674. He sold a lot of land to William Knowlton, previous to February 12, 1643. He purchased of William Symonds, Gent. and John West, yeoman, two lots of land, adjoining other land which he had bought of Robert Kinsman, seven acres of which was granted by the town of Ipswich to John Wedgewood. Seth’s wife Elizabeth Cross was born 3 Mar 1649/50. Her parents were Robert CROSS and Anna JORDAN. Elizabeth died 12 Mar 1735/36 in Ipswich, Essex, Mass. Seth became a deacon and was quite prominent in Ipswich Senior Deacon, 2nd Church of Chebacco. Chebacco was incorporated as Essex in 1819. The name Chebacco is Agawam in origin and refers to a large lake whose waters extend into neighboring Hamilton. Early on, Chebacco Parish lobbied for status as an independent town, asking for permission to build a meeting house. In colonial times, the existence of a meeting house in a settlement conferred de facto autonomy, so Chebacco Parish was denied permission to build such a structure. Popular history tells that one written dictate was issued stating that “no man shall raise a meeting house”, so the residents of the settlement interpreted it as to mean that women would be allowed to do so. It is reported that a local woman, Madam Varney, assembled the town’s women and construction of a meeting house was carried out by them while the men looked on. Seth fought in Narragansett winter fort under Capt. Samuel Brocklebank of Rowley during ‘King Phillip’s War with the rank of sergeant. 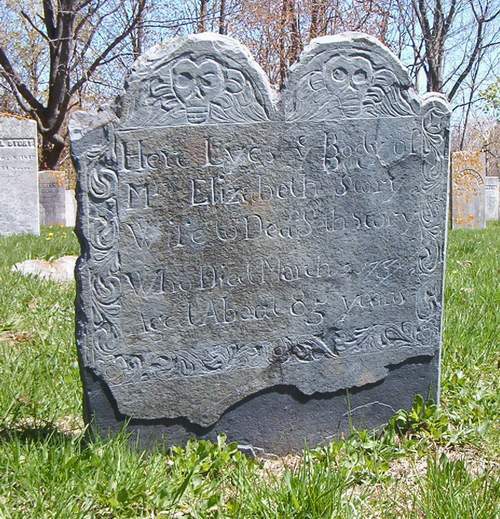 William’s wife Susannah Fuller was born 4 Aug 1650 and died 4 Jun 1707 in Boston, Mass. Her parents were John Fuller and Elizabeth Emerson. They moved to Concord, then to Charlestown, Roxbury, and Brookline, Mass. Most sources state that Abigail died in 1658, but an Abigail Story, age 15 was serving Thomas LOW’s wife in Ipswich in 1669. Hannah’s first husband William Swan was born 24 Feb 1660 in Haverhill and died: 14 Apr 1682 in Cape May, NJ. His parents were Robert Swan and Elizabeth Acy. Hannah’s second husband Thomas Jewett was born 20 Sep 1666 in Rowley and died: 6 May 1731 in Boxford, Essex, Mass. His parents were Ezekiel JEWETT and Faith PARRAT. After Hannah died, he married Faith [__?__]. Thomas died 6 May 1731 in Boxford, Essex, Mass..
25 NOV 1731 Boxford, Essex, Mass. b. 1710 Ipswich, Essex, Mass. d. 14 MAR 1780 Boxford, Essex, Mass. This entry was posted in 11th Generation, Double Ancestors, Historical Monument, Immigrant - England, Line - Miller, Twins, Witch Trials and tagged Ipswich. Bookmark the permalink. If Susanna (Story) Browne passed away on 9 Jan 1734 at age 74 (Boxford, Vrs), the later a fairly definite number. Also there being big gaps between children. The date you use is the only date found in Vital records for an “unknown” daughter. Isn’t it more likely she was born before the date you use?